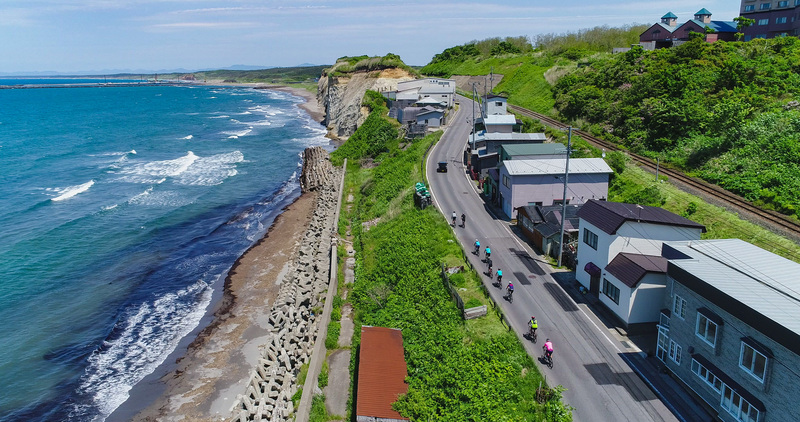 Explore the breathtaking northern region of Aomori while cycling its picturesque routes during this tough yet rewarding 5-day tour designed for intermediate cyclists. 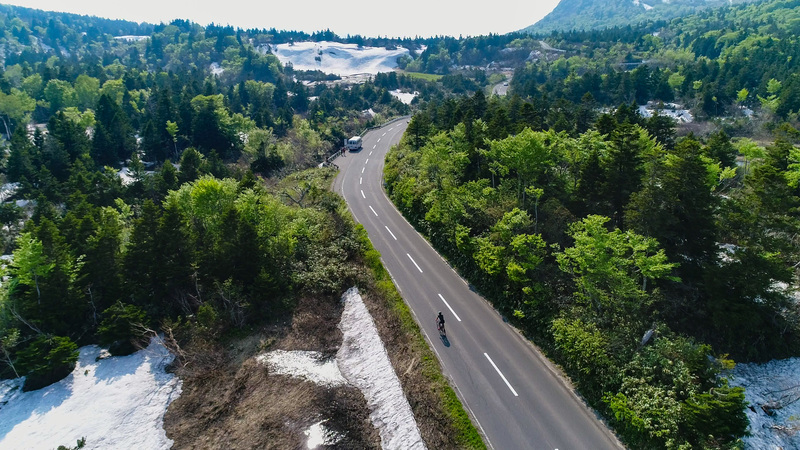 Venture on an exciting and demanding 5-day cycling journey across Aomori, the northern region of Japan. 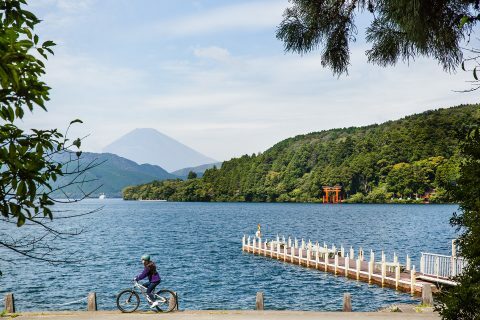 Discover Aomori's breathtaking mountainous landscapes, dotted with volcanic lakes and lush woods, as well as its rich historic and cultural heritage such as the famous Hirosaki Castle. Stay 3 nights at Rockwood Hotel & Spa, located along the slopes of Mt. Iwaki also known as Tsugaru's Fuji, enjoy indoor, outdoor 'onsen' hot springs, and an array of delicious Japanese and Western cuisine. 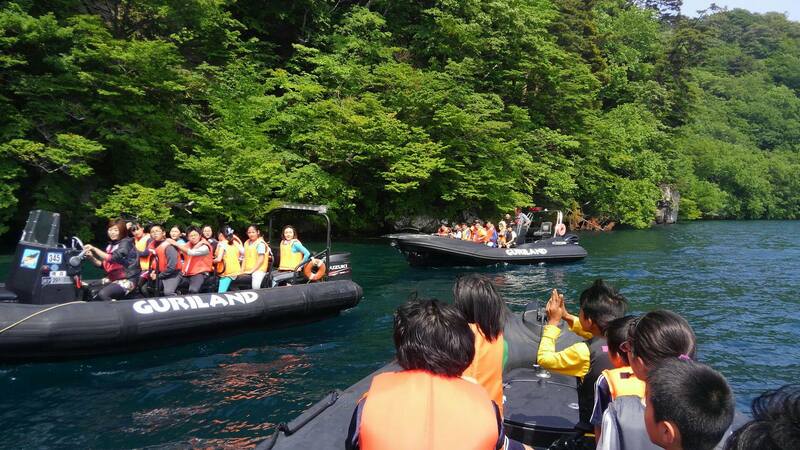 Spend 1 night in the magnificent Lake Towada area and opt for cycling around the Lake or join some exciting optional activities such as kayaking and RIB (rigid inflatable boat) riding. The starting point of the tour is Aomori Airport. In case you are arriving at Shin-Aomori Station, a pick-up service is available to transfer you to Aomori Airport. After a briefing with staff and fellow tour participants, gear up and head towards Mt. Iwaki and Rockwood Hotel & Spa. The first thirty minutes of the ride follow the route through busy downtown area, however the road soon clears up. After breakfast, head west of Rockwood for Dake Onsen, famous for its fountain head since Edo Period (early 17th century). 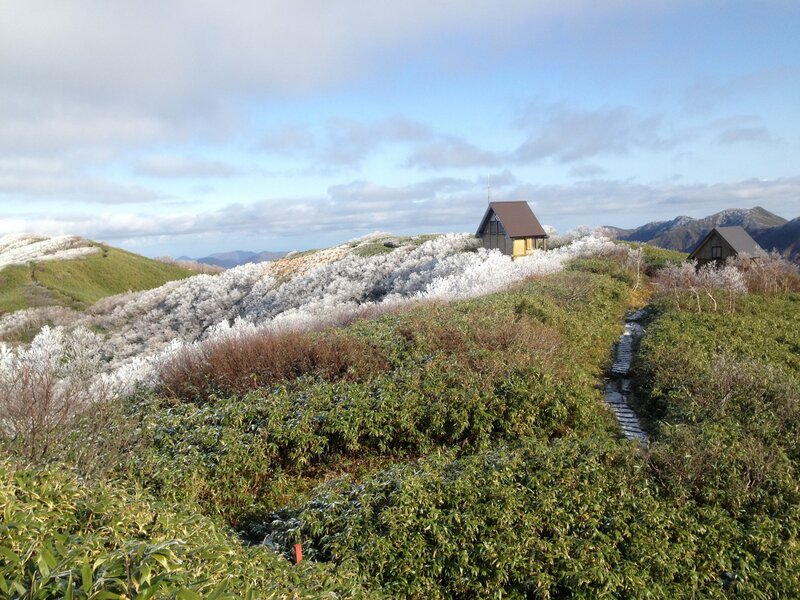 The plateau area near the Dake Onsen Hot spring also served as a setting for the novel "The Grass-Cutting Girl" written by Yojiro Ichizaka, a popular novelist of the post-World War 2 Japan. 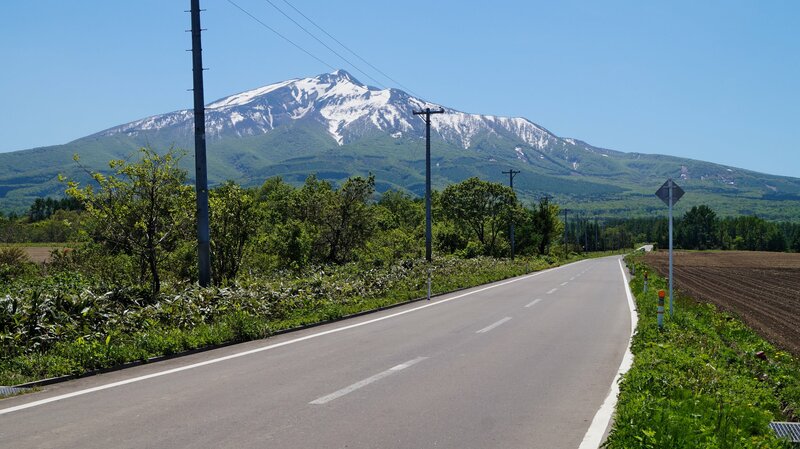 Another highlight on this day along the route that encircles Mount Iwaki, a compound volcano and the highest mountain in the prefecture at 1,625 meters, is Iwakiyama Shinto Shrine. 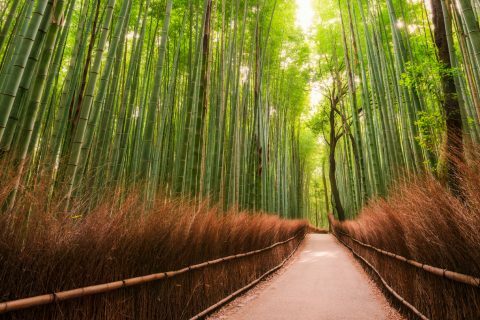 Located at the foot of Mount Iwaki, and initially established some 1,200 years ago, the shrine is made of wood that has endured harsh Aomori climate for almost four centuries. Lunch is along the way, and the daily route finishes at Rockwood Hotel. 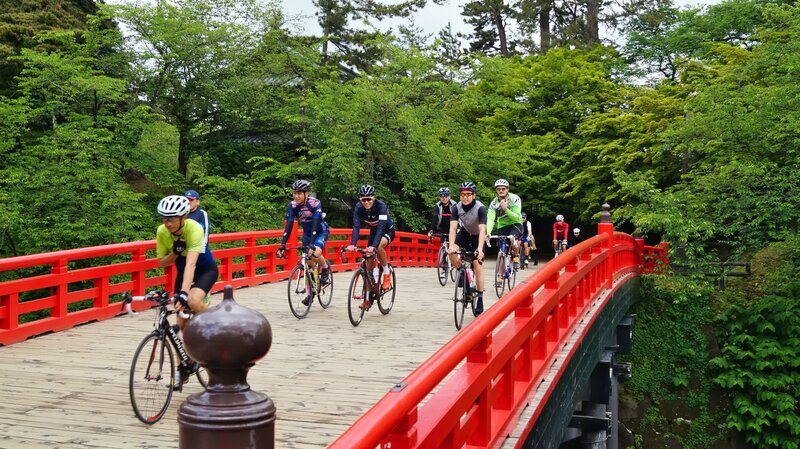 After breakfast, gear up and head towards Hirosaki Castle, the only remaining castle in Tohoku area which was built in Edo period (1603-1868), and registered as a National Cultural Asset. The road leads across Tsurunomai Bridge - Japan's longest triple-arch wooden bridge. Another point of interest is Zenringai in Hirosaki City, district famous for numerous Zen temples, originally built elsewhere in the region and moved to Hirosaki. Lunch will be in town, at a French restaurant, as Hirosaki is famed for serving excellent French cuisine. 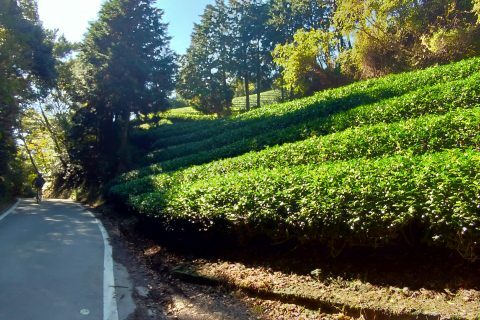 After Hirosaki, proceed to Apple Park where over 1,300 apple trees grow in 65 varieties. Aomori apples are well-known in Japan and abroad. You can take a quick tour of the park and see first-hand what it takes to produce apples. 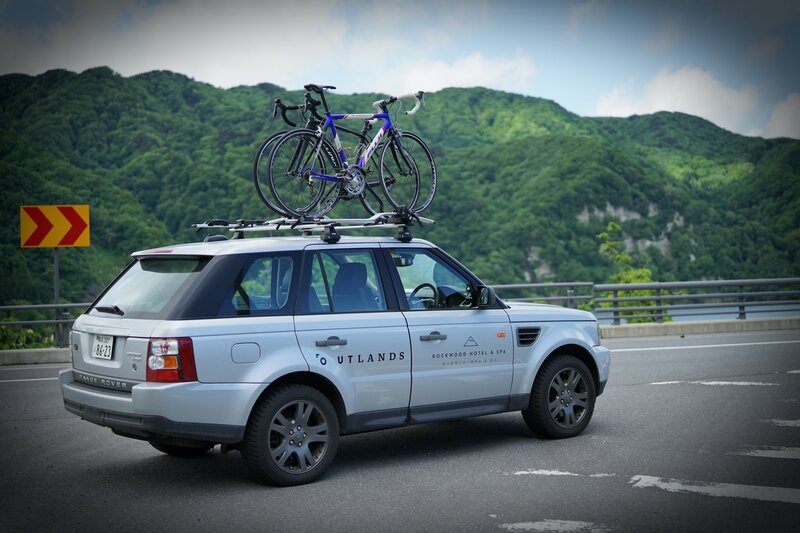 On Day 4, after checking out at Rockwood Hotel & Spa, head southeast towards Lake Towada. 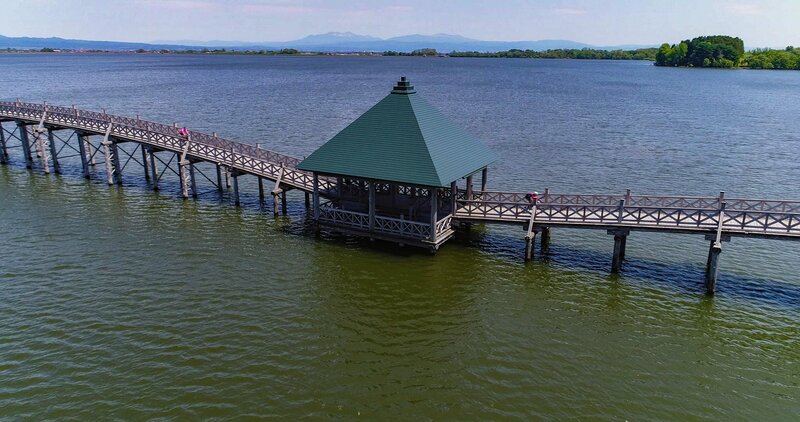 The ride on this day is easy, take in the beautiful landscape of the Lake and make the most of your rest day in this area, as you can enjoy not only cycling around the Lake but also choose some exciting activities on the lake shore - such as kayaking and RIB boat riding. 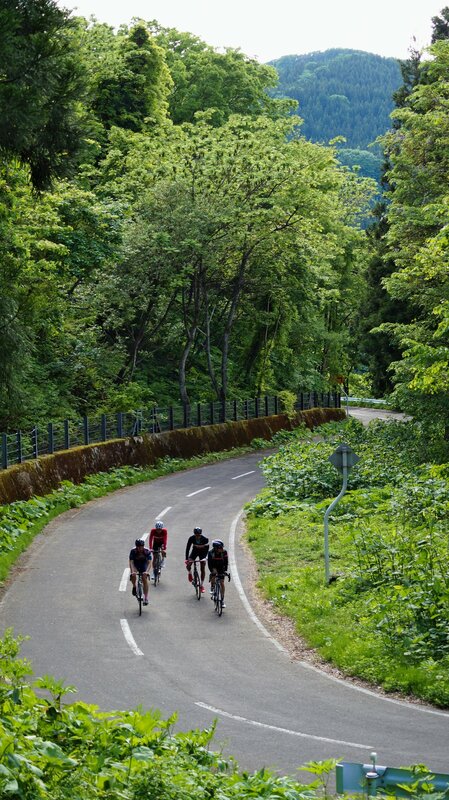 The overnight is in the Lake Towada area, which gives you ample time to explore the lakeside and its scenic landscape, get well-deserved rest and recharge your batteries for the last leg of the cycling tour. 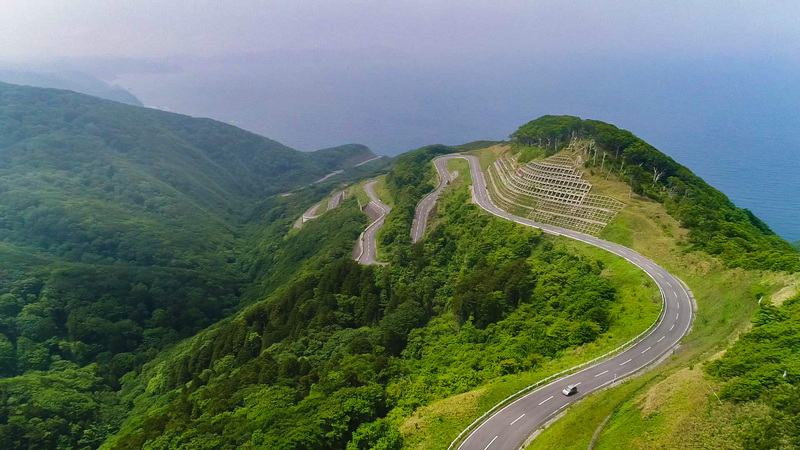 On your last day, after leaving your Lake Towada accommodation, you will traverse Oirase Gorge surrounded by rich forest and numerous waterfalls, as well as the Hakkoda mountains, a massive range comprising sixteen mountains, offering panoramic views of the greater area. The tour ends at the foot of Mt. Tamoyachi, where 300-year old Sukayu 'onsen' hot spring is located. 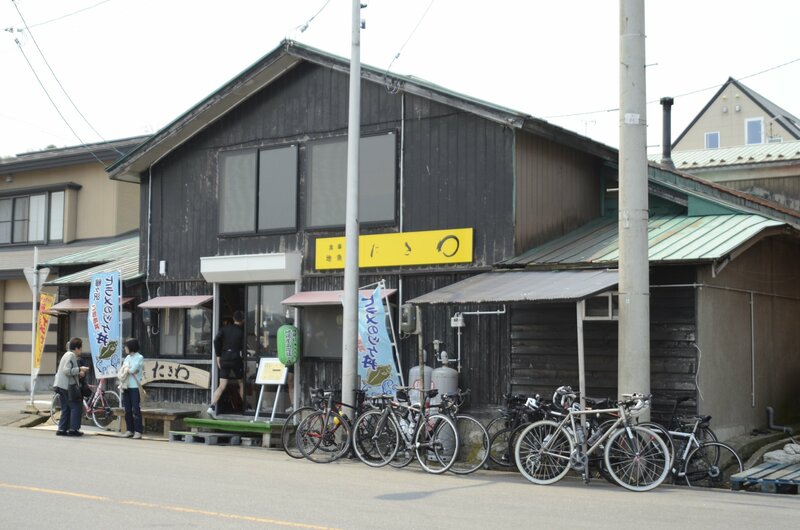 From Sukayu Onsen, you will be transferred to Shin-Aomori Station and Aomori Airport, which marks the end of the tour. The tour starts on June 15 and ends on June 19, 2019. Minimum number of participants required for either tour to run is 6. Maximum number of participants in the tour is 12. Rental bikes available at Rockwood Hotel & Spa are limited in number and availability. 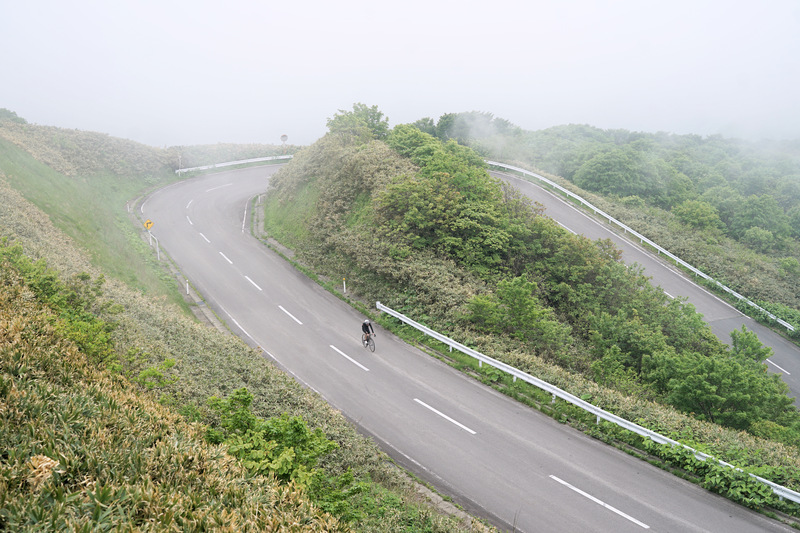 The price of rental bike for the duration of the tour is 17,500 yen and for helmet 2,500 yen. More details on rental bikes available can be found here. The optional RIB Ride Tour is approximately 50 minutes long and covers the distance of 22 km. The price of tour per person is 6,000 yen. The optional kayak tour is approximately 2 hrs long. The price of the tour per person is 6,000 yen. 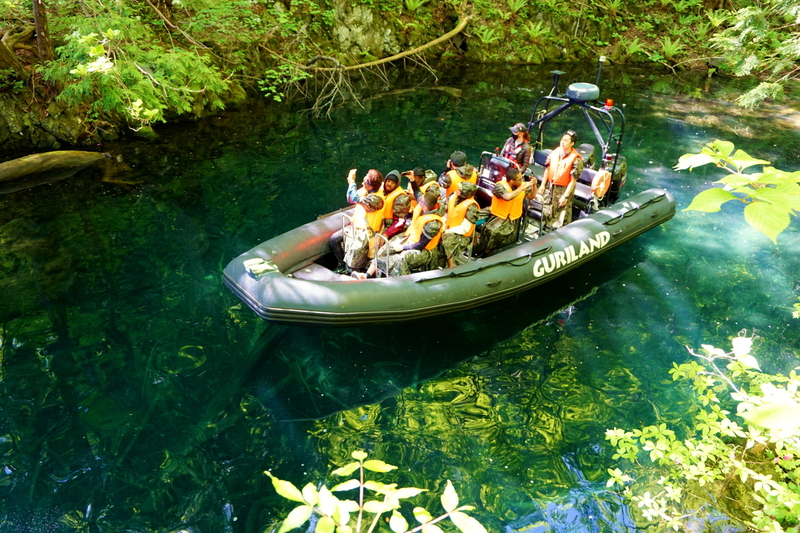 The optional boat and kayak tour is approximately 2 hrs long, includes a boat ride to the starting point of the kayaking part of the tour which takes you into a deep forest. The price of the tour per person is 10,000 yen. 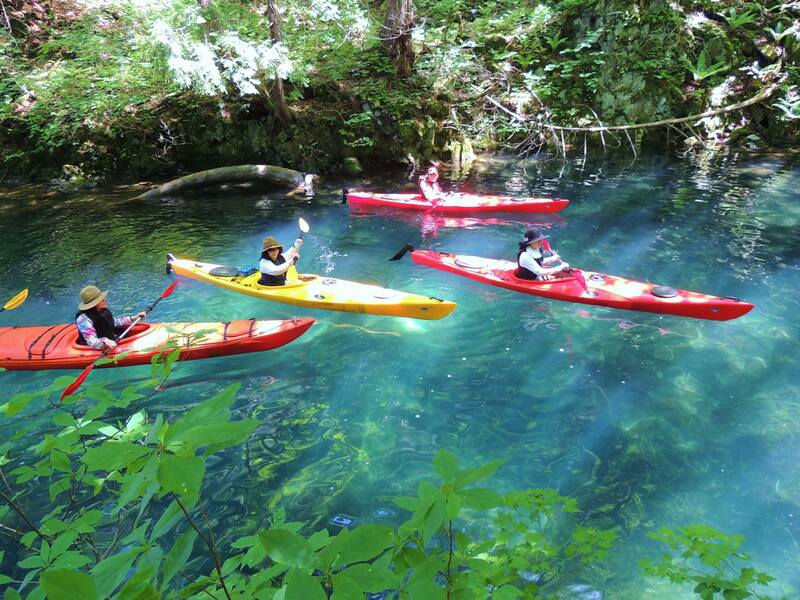 *Both the kayak and the boat and kayak tour need to be booked 1 week in advance. 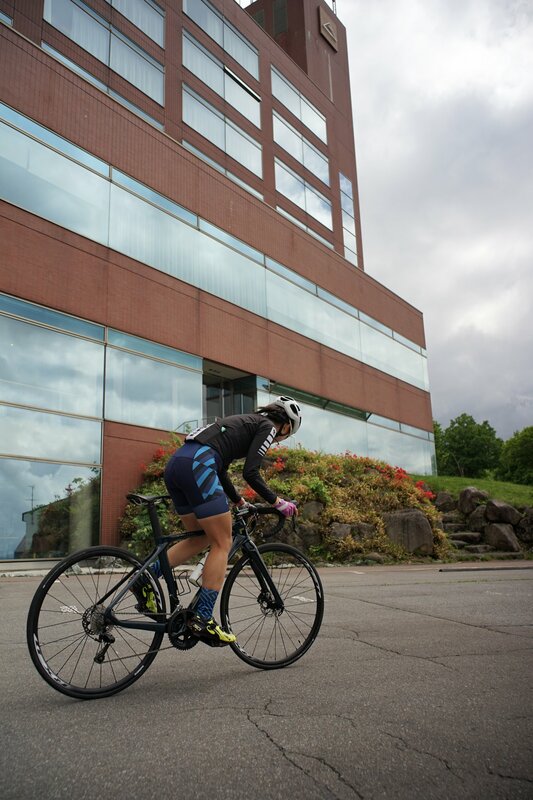 The hotel bus will come to Shin-Aomori Station at 13:29, pick up participants, their luggage, and bikes, and proceed to Aomori Airport. The bus will arrive at Aomori Airport at around 14:30 and carry all participants’ luggage to the hotel. 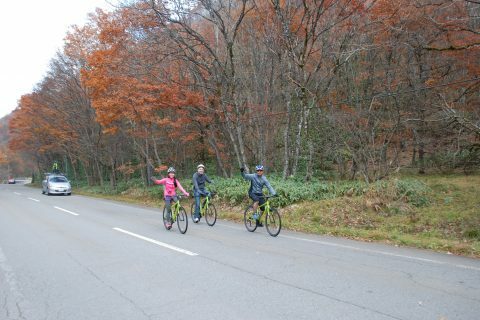 Participants can either start cycling to the hotel, or they can take the hotel bus. 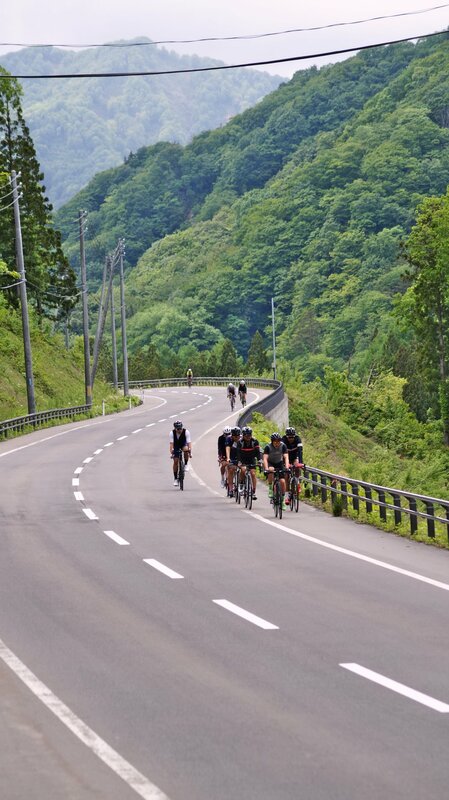 The hotel bus will carry participants, their luggage, and bikes from Sukayu Onsen to Shin-Aomori Station. 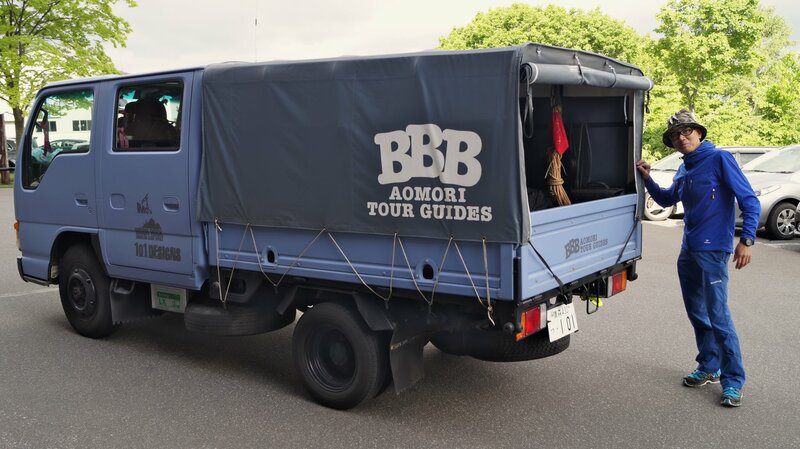 Afterwards, the bus will proceed to Aomori Airport and arrive there at around 15:00, and drop the participants off. * Tour participants taking other flights or trains, can take taxis from Shin-Aomori Station (9,000 yen) or from Aomori Airport (8,710 yen) to Rockwood Hotel & Spa. 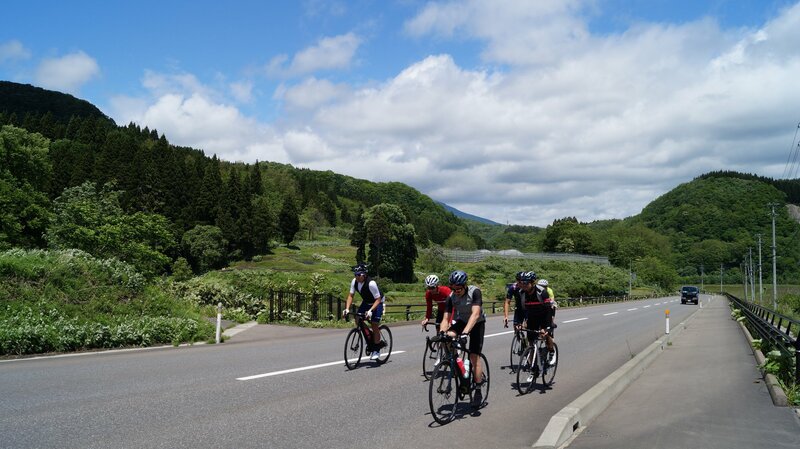 The meeting point for the tour participants will be at Aomori Airport or at Shin-Aomori Station. Details regarding the meeting point and the tour itself will be sent to all participants via email several days prior to departure.